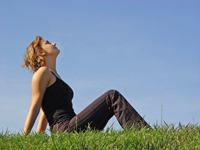 When the adrenals are not working right a person’s resistance to stress becomes low. Toxins are everywhere in our society and these chemicals could potentially cause serious health problems. Many people are walking around right now with parasites, yeast, bacteria and mold in their body and they have no idea of it. Metals such as Aluminum, Mercury, Lead and Arsenic to name just a few can cause a major negative impact on your health. Have you ever had your hormones checked? If yes how did they do it? If there is a lack of neurotransmitters it is thought that conditions such as; ADD, ADHD, Depression, Anxiety and Bi-Polar can occur. There are hosts of other laboratory services that we are able to provide at Alternacare.